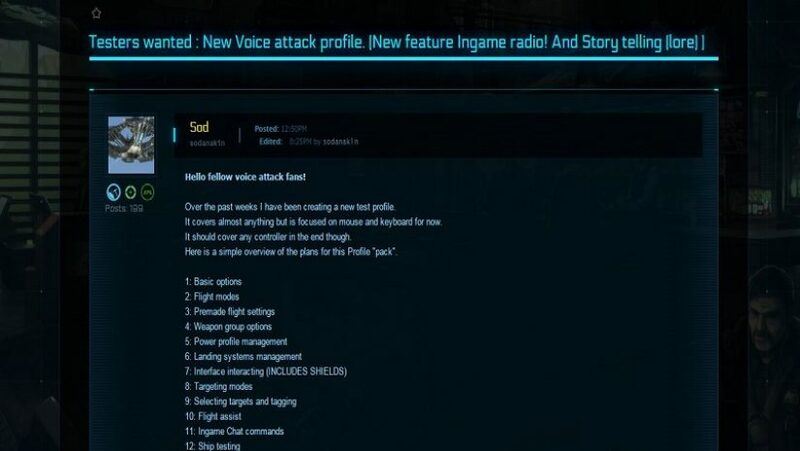 When /u/sodanakin PM’d me and asked me to check out his new Voice Attack profile, I was initially not interested because my current one already did everything I wanted. However, when I looked at his VA profile, I realized it actually brought plenty of new things to the table. The best part of this profile is that it allows you to listen to various Star Citizen Radios without tabbing out of the game, and that it will read you lore. 17: “Your voice name here” Chat commands < Don’t like radio? Let your voice attack companion tell you a story from the SC lore! I never even knew I wanted half of those features, but now it turns out I do! If the feature list intrigues you, check it out here! Note that he is still testing out many of the features, so don’t expect everything to work 100% of the time.